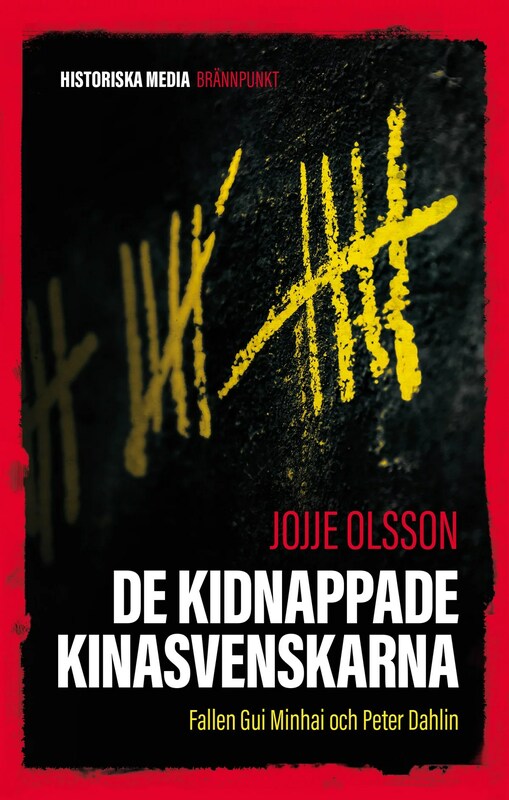 Next week, on October 17, it was exactly three years since Swedish publisher Gui Minhai was kidnapped by Chinese security agents in Thailand. He has since been held in China without a trial or even the right to judicial representation. Due to this, a rally will be held outside of the Chinese embassy in Stockholm at noon October 17, to let the Chinese authorities know that we neither accept nor forget the fate of Gui Minhai. On October 17, 2015, the Chinese authorities kidnapped Gui Minhai, publisher and Swedish citizen. His publishing of literature critical to Chinese regime was most likely the reason for Gui’s disappearance. For two years, he was isolated from the surrounding world without a trial, let alone a lawyer. On October 17, 2017, Gui Minhai was released only to be held in house arrest under surveillance in his old hometown Ningbo, without the opportunity to leave China, despite being a Swedish citizen. Three months after the ”release”, about ten plainclothes police snatched Gui Minhai on a train bound for Beijing, while he was travelling in the company of two Swedish diplomats. After this second disappearance, the Chinese regime forced Gui Minhai to make a forced confession on TV for the third time since he was first kidnapped. He has since then not been allowed to receive any consular visits, and despite showing serious health problems a first visit from a Swedish doctor was allowed only this August. The results of the medical examination is still unknown to the public. The rally is arranged by Kurdo Baksi with the support of the Swedish Journalist Union, the Swedish Writers’ Union and the Swedish Publishers’ Association. The Chinese embassy is accessible by bus 69 from Stockholm Central Station to ”Kaknästornet södra”. The embassy can be seen immediately when alighting at this bus stop. I attended a similar rally myself this summer outside of the Chinese embassy, that was also arranged by Kurdo Baksi, on the day that Gui Minhai had been imprisoned for 1,000 days. The turnout of both audience and media was good, despite holiday season and great weather. It is even more important with a respectable turnout next week, to let the Chinese authorities understand that there is still a big concern for Gui Minhai three years after his disappearance. It would also serve as a reminder for the current ambassador that his harsh and threatening methods to win the narrative of Gui Minhai will not be efficient in Sweden or other democratic countries. Kurdo Baksi can be reached via e-mail for any questions or inquires. Also, for any readers that might be in Taiwan next week, I will hold a talk on the case of Gui Minhai and its recent development in downtown Taipei. The talk is free – please see all needed information and sign up for the event via Facebook.